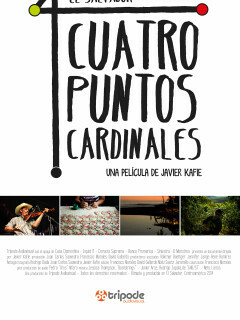 Holocaust Museum Houston will present a screening of the documentary, Cuatro Puntos Cardinales, followed by a Q&A session with the film's director, Javier Kafie. This documentary portrays stories from El Salvador. This film shows the cultural, social and ecological diversity of the region. From surfing communities to coffee plantations, from ex-guerrilla warzones to towns that live almost entirely on handicrafts; in such a small country as El Salvador, there's plenty to see and many stories to tell.